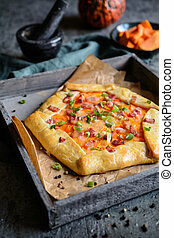 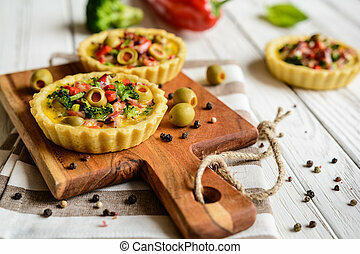 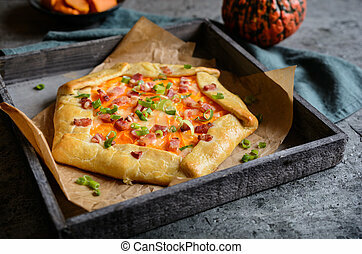 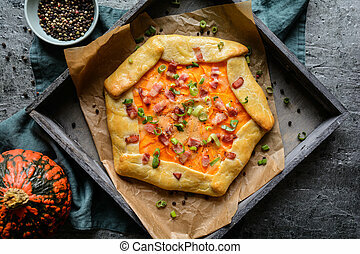 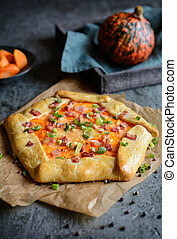 Bacon and cheese savoury tart. 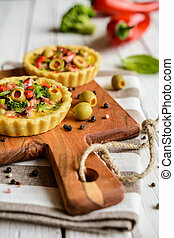 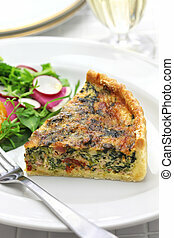 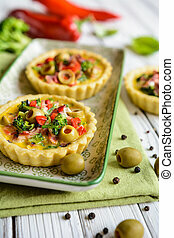 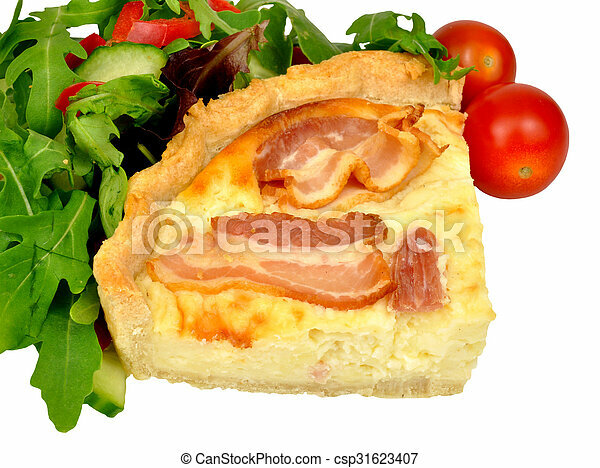 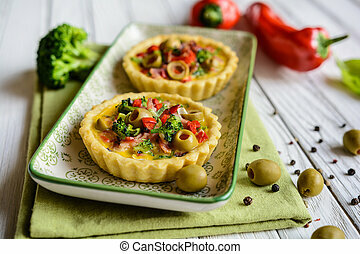 Portion of bacon and cheese savoury tart with salad isolated on a white background. 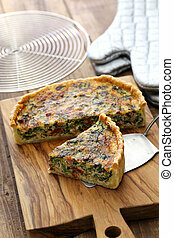 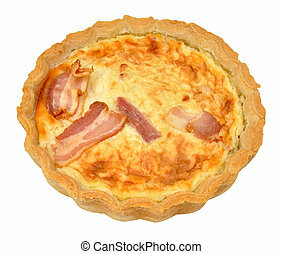 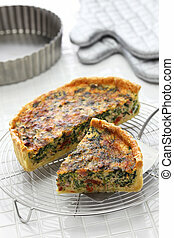 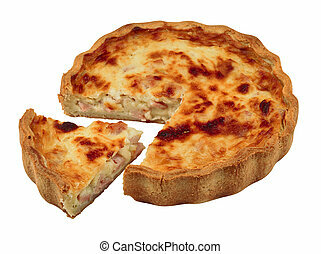 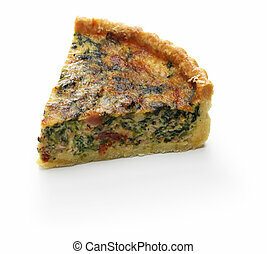 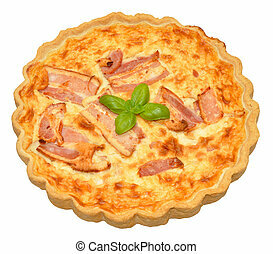 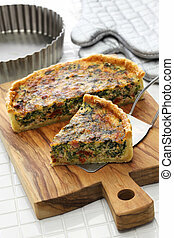 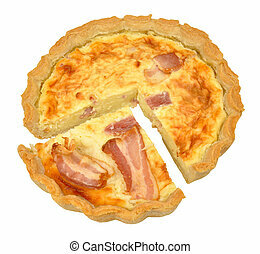 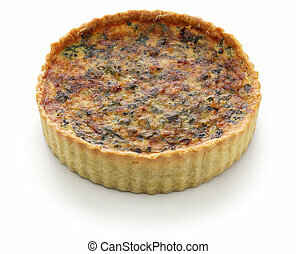 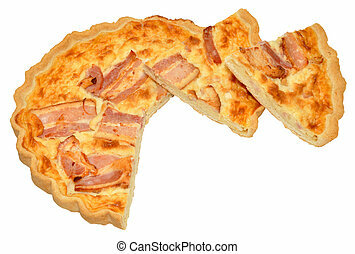 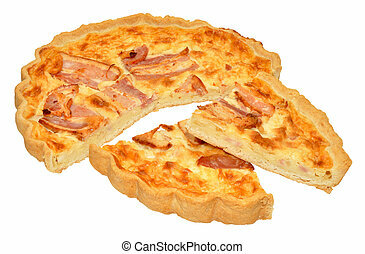 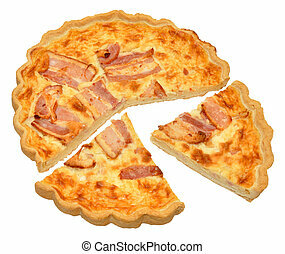 Whole bacon and cheese quiche, isolated on a white background. 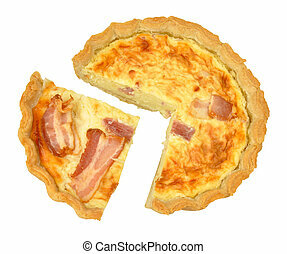 Bacon and cheese quiche cut into portions, isolated on a white background.